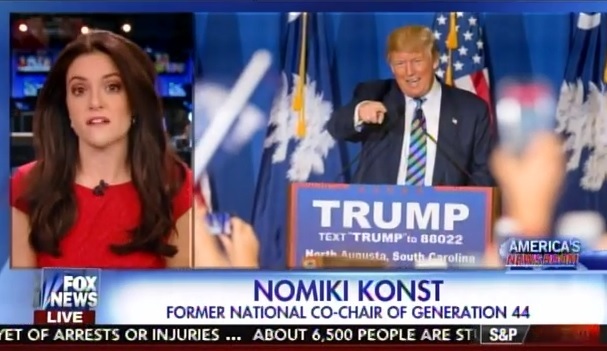 Top Democratic consultant Nomiki Konst warned Democrats that Hillary Clinton will have a very difficult time in the general election against Donald Trump – especially with working class voters and youth voters. ** Democrat turnout is down 26% this year compared to 2008. Nomiki joined America’s Newsroom this morning. I think that Democrats are underestimating Trump. I mean, first thing we know that he is able to, he’s the most malleable candidate. He’s going to be able to position himself as the working class, fair trade Republican. Sort of like a Reagan Democrat in other words. And Hillary Clinton is not able to corral that support right now. She’s losing the working class vote to Bernie Sanders and if Bernie Sanders is not the nominee that working class vote is undoubtedly going to to to Donald Trump. She also, as Ashley said, she has a really tough time engaging the younger members of the Democratic Party. I’m not just talking about millennials, I’m talking about those under 50 who have been showing up and supporting Bernie Sanders but not supporting her. So, there is an enthusiasm gap but more importantly, Donald Trump is going to be able to talk about the issue that all voters care about and that’s the economy.